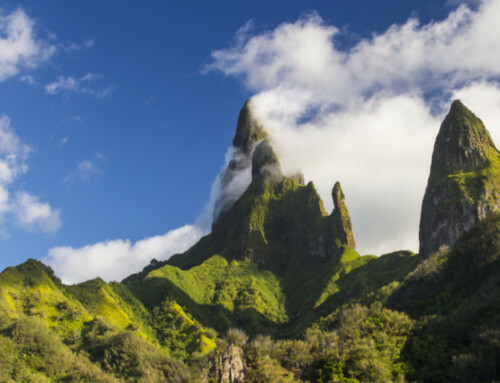 Hiva Oa, attractive land adopted by Paul Gauguin and Jacques Brel, is an island with lush mountains. Being the second largest island of the archipelago, Hiva Oa is the administrative and economic center of the southern group of the Marquesian islands and the “rival” of Nuku Hiva. 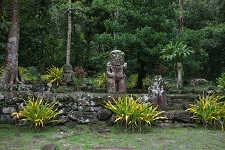 Hiva Oa is divided into two districts: Atuona, where the airport is settled; and Puamau. 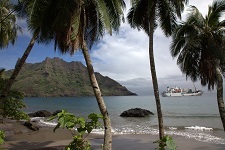 Just like Nuku Hiva, Hiva Oa is accessible by plane and also by boat. If you arrive by plane, as soon as you get to the aerodrome, you are immediately captivated by the splendid small valleys of Hiva Oa where the dwellings of the population are perched. A marvellous panorama is offered ! In Hiva Oa, it is possible to discover admirable sites like the one in Puamau looking after the large Tiki, the site of Ta’a’oa has more than a thousand Paepae (incredible platforms), the petroglyph site in Tehueto. In addition, many hikes or horse rides are provided in order to appreciate the sumptuous waterfalls and incredible pitons of the Gauguin island, and thus to be able to enjoy superb reinvigorating swims in the river. 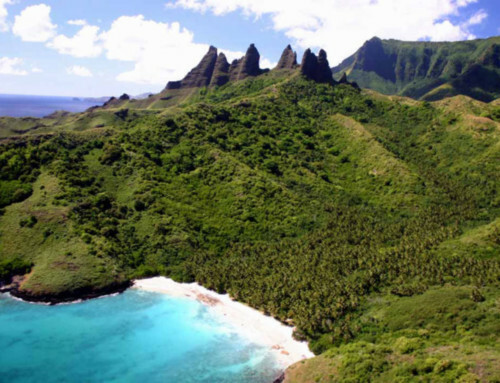 Hiva Oa also has black sand beaches like in Atuona, and white sand beaches like those of Puamau and Hanaiapa. The latter is a real gem of nature, it is long and ideal for marvellous walks. The blue of the sea makes the most beautiful seas in the world fade. Tahuata, located not far from Hiva Oa, is ideal for a one day discovery and adventure in this splendid Marquesian island. Last but not least, it is possible to kneel before the tombs of the painter Paul Gauguin and the singer Jacques Brel in the Calvaire cemetery. They both lived in Hiva Oa during the last years of their lives.